RAPID CITY, S.D. – All across the world – Rapid City included – people showed their support for the survivors of a modern form of slavery. 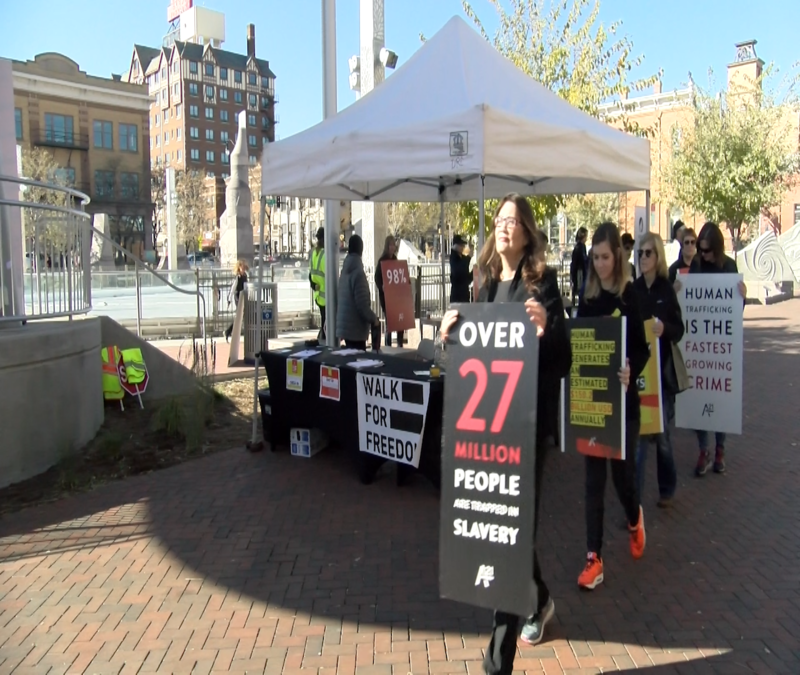 Human trafficking awareness group A-21 hosted the Third Annual Walk For Freedom Rapid City at Main Street Square on Saturday. Coinciding with 300 support walks across the world, local survivor support groups raised awareness for their cause by donning black clothes and protest signs. They then walked single file throughout downtown Rapid City in silence to demonstrate the gravity of the victim’s situation. Trafficking survivors also spoke at the event to provide perspective on their experiences and how they were trafficked. Survivors said that anyone – men, women and children – can be trafficked and that it can happen anywhere. Human trafficking survivor Kelly Patterson described the abject suppression of being a victim. There was no cost to participate, but donations to A-21 were welcomed.